I get a lot of questions from people asking how we take our screenshots. There are actually a few ways to take screenshots…I have used all of them (sometimes all of them to take screenshots for one post)! Below are some of the options. The Dock application comes with a screenshot feature. A lot of people miss it because the screenshot icon is grayed out. 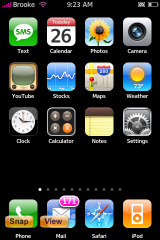 To take a screenshot with Dock you just bring up the screen you would like to take a screenshot of and then open the Starbust that Dock puts in the lower right corner of your iPhone. 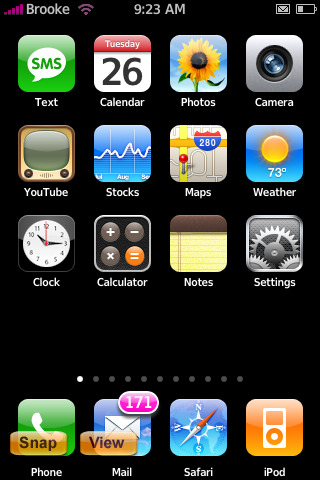 Once the Dock is open select the Screenshot icon. You will hear a Camera sound as the screenshot is taken. The screenshots are put into your Camera Roll so you can just get them off your iPhone by connecting it to your computer and dragging them out of your Camera Roll onto your computer. The only issue with Dock is that it does not work with all applications and you sometimes can’t get screenshots of fast pop-ups. 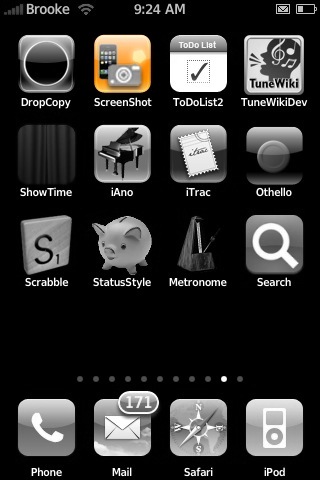 You can get Dock through the AppTapp Official source. 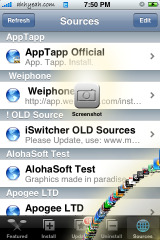 The ScreenShot app is an application that puts a floating Snap button on your SpringBoard. 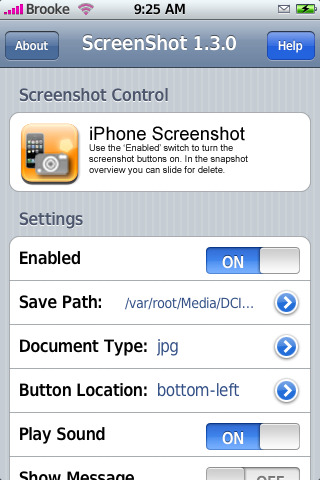 Once you have installed ScreenShot…you can go into the settings and change everything to the way you would like it, including where you want to floating button located on your SpringBoard and where you want the screenshots saved. To take a screenshot…you just go to the screen you would like a screenshot of and then tap the Snap button that will be “floating” on your screen. The floating button will go away when it takes the screenshot. 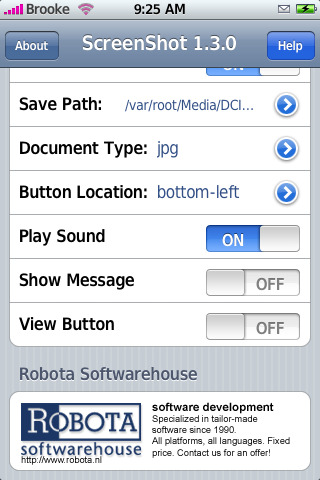 If you would like the screenshots saved to your Camera Roll…select the /var/root/Media/DCIM/100APPLE option in the Settings. You can then take them off your iPhone by connecting it to your computer and dragging them out of your Camera Roll onto your computer. This app can be speratic at times…sometimes it works…sometimes it doesn’t. Sometimes it shows up when you restart your iPhone…sometimes I have to go into the app and turn it back on. Lately it has been working pretty well for me. 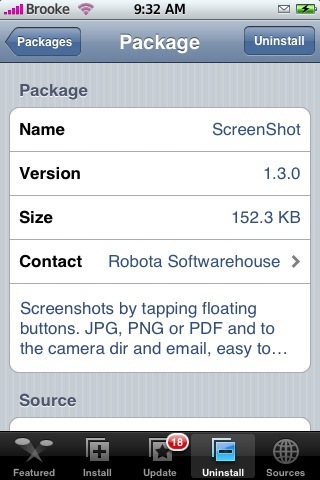 ScreenShot is available through the Robota Software source. You can also use a Terminal to take a screenshot. 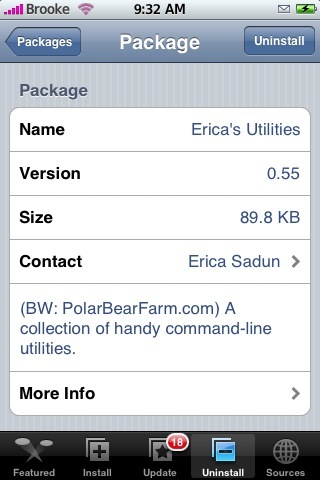 In order to do this…you will have to install Erica’s Utilities from the Ste Packaging source. Once that is installed you will have to add a bin folder to your var/root folder…so, you will have a var/root/bin folder. 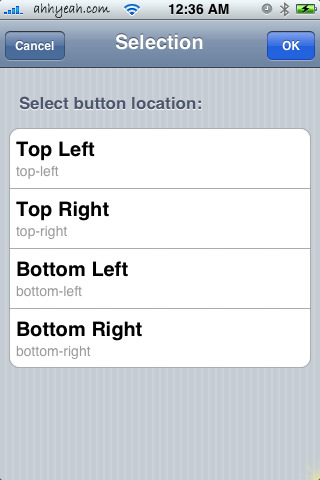 You can then open the screen you would like to take a screenshot of on your iPhone. While that screen is open you can connect via terminal from your computer and type in the following command – /var/root/bin/snap2album. You will hear the Camera sound when it takes the screenshot. 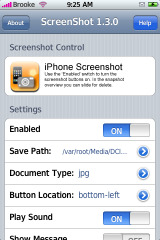 The screenshots are saved to your CameraRoll and can be taken off your iPhone by connecting it to your computer and dragging them out of your Camera Roll onto your computer. This is the most stable form of taking a screenshot but, you have to have a computer near by in order to use it! Out of all the options…I’m usually partial to the Dock method…though since I installed Caterpillar I have had to uninstall the Dock, which is very sad…I feel almost lost without it!! You are free to decide which option you like best! hummm…running 1.1.3 (via ziphone) and just tried taking some screen shots using the Dock method, but after taking a few shots (confirmed by hearing the snapping picture sound), i’d go into camera roll and i don’t see any screen shots taken there…am i missing something? yes i am having the same problem…i hear the sound but nothing in my camera roll!!! It is probably putting them in the wrong folder…try checking via SSH…they are probably in the var/root/Media/DCIM/100APPLE folder instead of the var/mobile/Media/DCIM/100APPLE. I think Doug had to create a symbolic link for it to work correctly on 1.1.3. You would need to create a symbolic link from the var/root/Media/DCIM to the var/mobile/Media/DCIM/…check out THIS post on how to do that. Go to /private/var/root/Media and delete DCIM folder if there is any (backup any photos that might be there). your answer worked great for me. The Dock screenshots are now saved in my cameraroll! 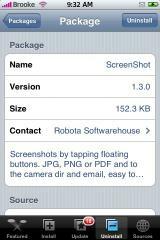 I use screenshot app controled by bossprefs.. it’s the easiest..
also, i restored to 1.1.3 from 1.1.1 and used ziphone.. it kinda bricked my iphone to an infinite apple logo plus loading animation loop..
i managed to do it again and used ijailbrake.. better.. it works.. ! Yes, Im experiencing the same thing, 1.1.3 ziphone BL 3.9, i do hear the shutter sound, but no picture. I guess there is a problem with permissions (root vs. mobile user). You will need to create a symbolic link because 1.1.3’s folder structure is different and Dock saves it to the “old folder” like you are on 1.1.2 or below. See the post comment above on what to change and how. thanks! i was able to find the screenshots lost in my iphone directories. 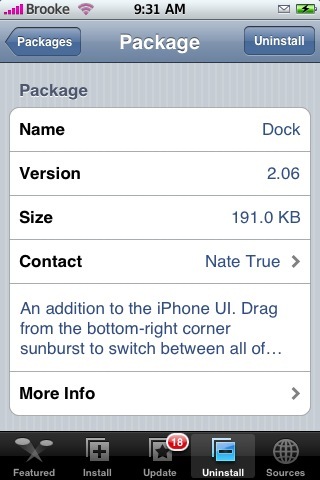 it was my first time to SSH into my iphone since i usually go through the installer.app route. i had the screenshots removed. i also had so much junk in my iphone! cleaned it up and deleted folders i know i installed and uninstalled rightaway. thank you apple iphone school! i had customize installed before and since it doesn’t work i had to uninstall it. lo and behold it left a bunch of folders in the phone. uninstalled some games too and their folders were also left behind in the phone. relieved myself around 35mb of this and that. i’m back to the 200mb “Other” data, as displayed in itunes. 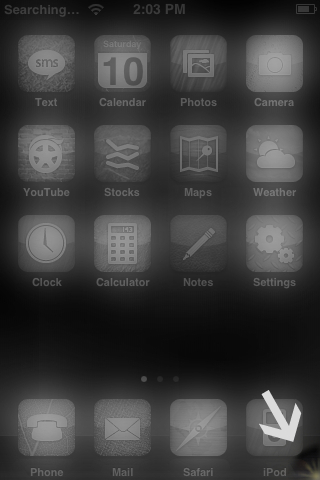 these appeared after i jailbroke 1.1.3 using ziphone. wonder what that “Other” 200mb data is though…? Album covers, addressbook, calendar, all other data different from music and video that is stored on your iPhone. I have just tried to install the dock app. And it got near the end and a error popped up. “you must install the BSD subsystem package first”… any help guys? Then install BSD Subsystem via installer :) It’s located under System category. ok my question is i have an itouch and i accidentally click on the screen shot thing like 5 times. and it says i have 5 pictures under about ipod. so how do i delete them cause i dont want them? So, you used the screenshot app? Where does it say that you have five pictures in under the about ipod? Also, what version firmware are you on? no ok on the dock it was the screenshot thing thats gray. i accidentally clicked it alot of times. so when you go to settings then under general then under about where it says pictures i have 8. So i tested to see if every time i click on the screen shot thing if it said i had one mroe picture and it does. so how do i delete those screen shots? hello so can anyone help me how to delete the screen shots? 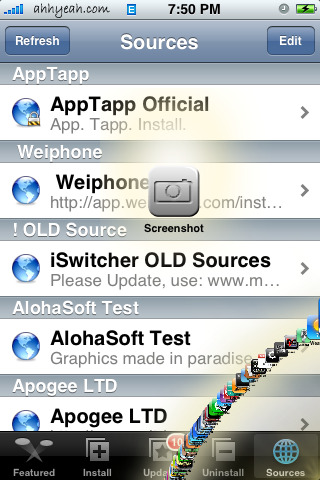 Enables the built-in screen shotting capabilities. Discovered by RiP Dev. For 1.1.3 and newer. 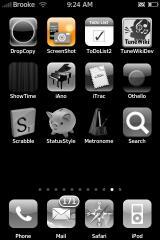 It does not install an app but instead modifies a plist file to enable the built in OS screenshot feature on the phone. 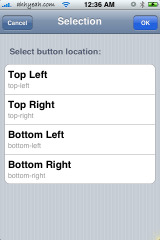 Once enabled all you do is flick the mute switch while holding the home button. “On mute” or “off mute” doesn’t matter as long as it is being switched from one mute mode to the other. You will see the screen go blank white then reappear. It puts the screenshot into your camera roll. Note: It makes a tif image that is about twice the size of the jpg files the camera makes but it can be off-loaded to your computer using the same method you choose for your photos. i have it installed, now how do i view the screen shots? 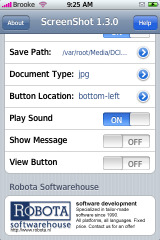 i cannot find a “settings” fields for the dock, i checked it out in the iPod Touch settings, and nothing is there. any pointers? thansk admin…“On mute” or “off mute” doesn’t matter as long as it is being switched from one mute mode to the other. You will see the screen go blank white then reappear. It puts the screenshot into your camera roll.